Decreasing the amount of water you use every day saves money and helps the environment. Even if you have a private well, decreasing your water use will decrease your electric bill and decrease wear on your well pump. Water conservation helps the environment, local streams, and groundwater resources. 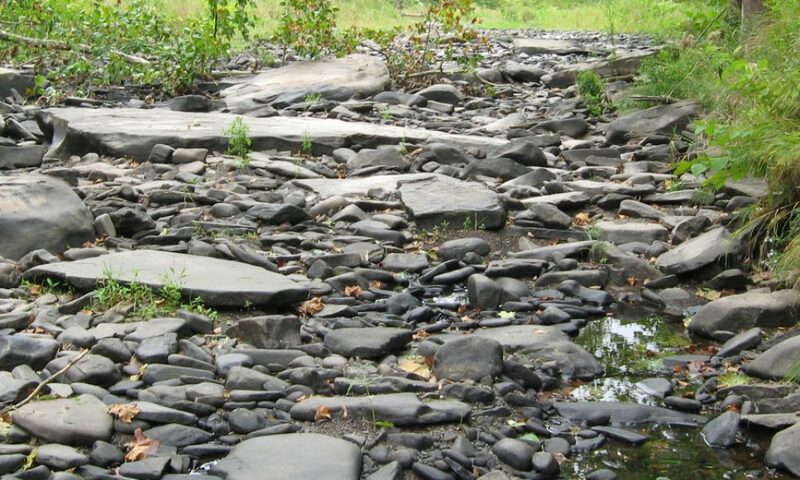 On November 4, 2016, Pike County was placed on a Drought Watch by PA Department of Environmental Protection. Pike County has remained on this drought watch since early November. The County has only received enough precipitation to prevent worsening drought conditions. It is important for ALL Pike County residents to conserve water now and in the future. Most of us know to turn off the water when brushing our teeth or to limit the amount of time we run the faucet, following are some other steps can you take to conserve water. Decrease your energy use. Energy generation is the single largest use of water in the US according to the United State Geological Survey. Almost 45% of the water used in the US is used to generate electricity. By decreasing your energy use, you also decrease your water use and save money! When you replace an appliance or water fixture choose water reducing or energy conserving replacements. It is not economically feasible to replace all your water fixtures and appliances at one time. It is economically and ecologically beneficial to choose these options when it comes time to replace these items in your home. Check for water leaks. Leaks in the home can waste hundreds of gallons of water a day. Fixing a leaking faucet or toilet is usually a quick and relatively inexpensive fix which will save you money in the end. Run your dishwasher and washing machine only when full. Even when you utilize the smaller load settings for your washing machine it wastes water. Washing two half loads uses more water than one full load, so always try to wash full loads. Use rain barrels when and where appropriate. Rain barrels can be used to collect rain water from your roof or other surface to be used later.